Having your air conditioner malfunction all of a sudden and not cool the rooms properly can be irritating. This is especially true if it is summertime and you are cooped up inside the house to avoid the heat outside. Below, we look at six reasons why your AC may not be cooling as expected. Check the coolant levels to see if it is low. When low, the warm air that is being circulated through the air conditioning system will not be cooled. As a result, the rooms will have a warm temperature. If you sign up for a maintenance plan from any reputed HVAC service, they will ensure that your coolant levels are always optimum, thereby avoiding such issues. If the condenser coil inside the AC unit is dirty, then that too is a problem. Because of the dirt and debris on the coil, the heat will not be dissipated properly. As a result, the coil will have to work extra hard to cool the room. However, once the coil becomes extremely dirty, then it will be nearly impossible for it to cool accurately. The only way to get the cooling right is to clean up the coil and remove all the dirt on it. The function of the thermostat is to detect the temperature of the room and direct the AC to cool or not cool as necessary. 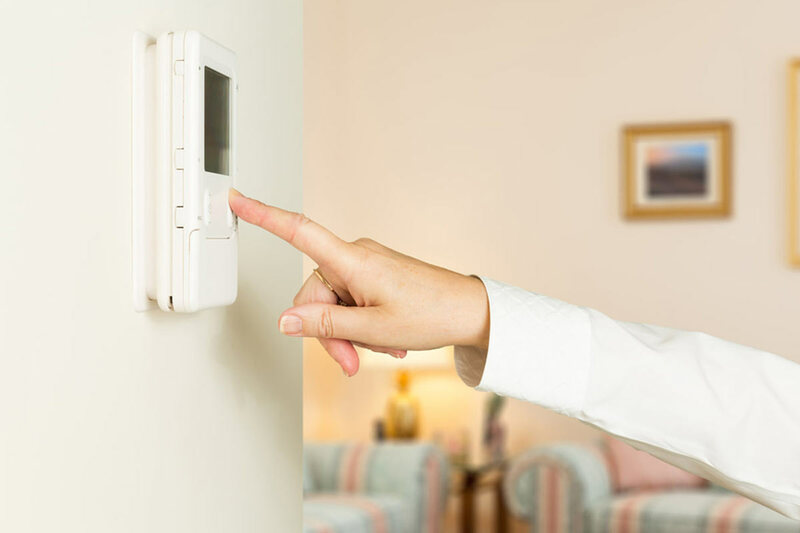 When the thermostat is damaged in any way, it won’t be able to send the right signals to the air conditioner. As a result, you will start experiencing a warm temperature in the room even though you have set the AC to cool the room. It is the compressor’s job to circulate the coolant through the condenser coils and evaporator so that the air is cooled. If the compressor malfunctions, then the coolant will not be circulated. As a result, neither the air running through the AC unit will be cooled not will the rooms. Open up the air conditioner and see whether the compressor motor is damaged or not. The air filters in the AC unit will have lots of dust, dirt, and debris accumulated on them due to long usage. As such, it is essential that you clean the AC air filters from time to time or replace them if required. If you let the dirty filter remain as it is, then it will negatively affect the air flow inside the air conditioning unit. As a consequence, the AC will not be able to cool the room properly. If you have just installed a new AC unit and it does not seem to cool the home like you expected, then you need to double check the size of the AC and ensure that it is optimal for the room size. If the AC is too small for the room, then it is inevitable that the room won’t be cooled as per the expectations.